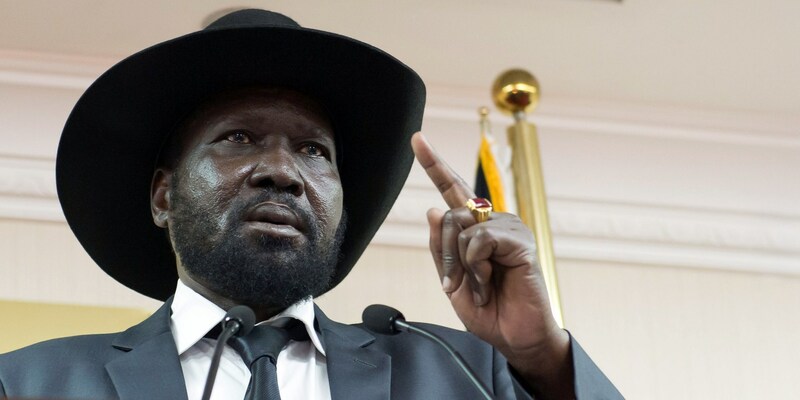 JUBA- South Sudan President Salva Kiir on Sunday dismissed charges that he and the SPLA chief of General Staff Paul Malong Awan have turned the national army into a tribal institution. “There are people when they are with the government and in the army, appreciate the work of the SPLA but when they go, they say it is a tribal army. When has SPLA become my army and when it has become a tribal army,” asked president in a meeting on Sunday. The president made the remarks on Sunday at his residence in which he met and held a usual informal meeting with some prominent members of the Jieng (Dinka) Council of Elders. A deputy chief of South Sudan army, General Thomas Cirilo, on Friday 10 February resigned from the army and accused President Salva Kiir and military leadership of spearheading a tribal agenda. 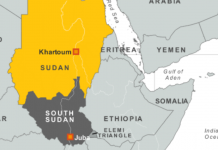 Cirilo further accused the He the duo (Kiir and Awan) of “deliberately orchestrated planned violations” of the August 2015 peace agreement” which led to fighting in Juba in July last year. He also accused them of targeting non-Dinka tribes, pointing to the ongoing violence in the Equatoria and Upper Nile regions. The head of state attributed the dominance of his ethnic group to lack of people wanting to join military, citing the 2012 national mobilization when the army wanted recruits. “When people are not ready to join the army and others accepted to volunteer, is it me or the chief of general staff who stopped them from joining”, asked Kiir. “If some people want to go, they are free to go but they should not make claims which are not true”. Kiir said he was not surprised about people leaving the SPLA (Sudan People’s Liberation Army) because it was allegedly not the first time it was being left. “How many times have people left the SPLA and did the same people not come back,” asked president?